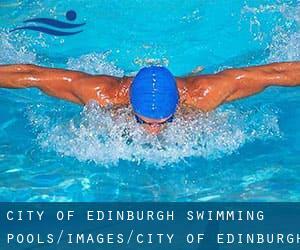 Most with the City of Edinburgh Swimming Pools offer both open lanes for independent swimming and also guided activities like water aerobics or Aquabike. Before trying any pool, be sure you know the rules and regulations for City of Edinburgh Swimming Pools as they may not be exactly the same as in your home town. We advocate you contact the pool directly to ask in the event you will need a hat, and what style of footwear or distinct clothing you will need. Please use the get in touch with information provided at every pool profile to check if they are providing aquagym lessons, due to the fact is not so common to see an Aquagym in City of Edinburgh. 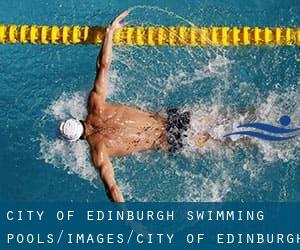 Do you know of any Swimming Pools in City of Edinburgh that should be listed here? Contact us!. Swimming is a sport for all ages. It helps young folks to tone their muscles and grow healthy and powerful. For the elderly, there's no better way to exercise than acquiring a City of Edinburgh Swimming Pool to escape from every day routine. Thanks to some new pools submitted by swimmers like you, Swimia.com is increasing within the day-to-day quantity of stored pools. Please don't hesitate to contact us should you locate any City of Edinburgh Swimming Pool with inaccurate or incomplete information and facts. One of the advantages of outdoor swimming in City of Edinburgh is the possibility to sunbathe during the summer season. Taking it with additional care, sunbathing is wholesome since introduces Vitamin D into the body, so the ideal choice seems to be switching amongst indoor and outdoor pools depending on the season. There are numerous causes why you'll want to choose a heated swimming pool in City of Edinburgh. One of the most essential 1 relies on the importance of keeping the body temperature stable. If the water is as well cold, your body will try to warm it up and you will lose strength to swim effectively. If you're tired of having eyes and irritated skin, locating a saltwater pool in City of Edinburgh could be the solution. You should know that the degree of salt from these pools is nicely below the level of salt from sea water, specifically they're talking about a tenth or less. There are quite a few alternative treatments to chlorination, with great advantages that make certain far better water quality in the pool. One possibility will be the mineralizer, which purifies water naturally and considerably decreases the chemicals used and maintenance time. Try Chlorine Totally free pools in City of Edinburgh. Enjoy the best indoor pools in City of Edinburgh and don't worry about the weather. These facilities are open all seasons and you can enjoy a swim at the same temperature every day of the year. Updated on 2019 Junction Place , Leith , Edinburgh , Scotland , UNITED KINGDOM (Postal Code: EH 6 5JA). Swimmers like you reported 25 yards, 5 lanes, Indoors. Phone number and e-mail address are number for this Pool. Updated on 2019 5 Murrayburn Drive , Edinburgh , Scotland , UNITED KINGDOM (Postal Code: EH14 2SU). Swimmers like you reported 25 meters, 4 lanes, Indoors. Unfortunately we do not have the email address of this Swimming Pool, but we can provide you with the phone number. Updated on 2019 92 Pilton Drive , Pilton , Edinburgh , Scotland , UNITED KINGDOM (Postal Code: EH 5 2HF). Swimmers like you reported 25 meters, 8 lanes, Indoors. Phone number and e-mail address are number for this Swimming Pool. Updated on 2019 30, Drumbrae Terrace , Edinburgh , Scotland , UNITED KINGDOM (Postal Code: EH 4 7SF). This sports centre provides 25 meters, 5 lanes, Indoors. Contact details for this Swimming Pool which include phone number and e-mail address are number. Updated on 2019 Queensferry High School , Ashburnham Road , South Queensferry , Scotland , UNITED KINGDOM (Postal Code: EH30 9JN). This sports centre gives 20 meters x 7 meters, 4 lanes, Indoors. Contact information and facts for this Swimming Pool such as phone number and email address are number. Updated on 2019 Glenogle Rd. , Stockbridge , Edinburgh , Scotland , UNITED KINGDOM (Postal Code: EH 3 5JB). Swimmers like you reported 25 yards, 5 lanes, Indoors. Phone number and e-mail address are number for this Swimming Pool. Updated on 2019 15 Bellfield St. , Portobello , Edinburgh , Scotland , UNITED KINGDOM (Postal Code: EH15 2BR). This sports centre delivers 25 yards x 10 yards, 5 lanes, Indoors. For this Swimming Pool, only phone number is number here. 113 Main Street , Newtongrange , Scotland , UNITED KINGDOM (Postal Code: EH22 4QR). This sports centre offers 25 meters x 10 meters, 4 lanes, Indoors. Contact facts for this Pool such as phone number and e-mail address are number. Updated on 2019 Thirlestane Rd. , Marchmont , Edinburgh , Scotland , UNITED KINGDOM (Postal Code: EH 9 1AP). This sports centre offers 25 yards, 5 lanes, Indoors. Contact information for this Swimming Pool including phone number and email address are number. 89B Glasgow Road , Edinburgh , Scotland , UNITED KINGDOM (Postal Code: EH12 8GZ). Swimmers like you reported 25 meters x 13 meters, Indoors. Unfortunately we do not have the e-mail address of this Pool, but we can provide you with the phone number. Fountain Park , Dundee Street , Edinburgh , Scotland , UNITED KINGDOM (Postal Code: EH11 1AL). Swimmers like you reported 25 meters x 11 meters, Indoors. Unfortunately we do not have the email address of this Swimming Pool, but we can give you the phone number. Updated on 2019 21 Dalkeith Rd. , Newington , Edinburgh , Scotland , UNITED KINGDOM (Postal Code: EH16 5BB). Swimmers like you have reported Olympic size, 2 meters depth, 2 meters depth, Indoors. Also, you will find 25 meters, variable depth teaching pool, Indoors. If you might want to get in touch with this Swimming Pool, email address and phone number are both number. Updated on 2019 29 Caledonian Crescent , Edinburgh , Scotland , UNITED KINGDOM (Postal Code: EH11 2AL). This sports centre offers 25 yards, 5 lanes, Indoors. Contact information for this Pool which include phone number and email address are number. Updated on 2019 22 Gracemount Drive , Gracemount & Liberton , Edinburgh , Scotland , UNITED KINGDOM (Postal Code: EH16 6RN). This sports centre delivers 25 meters, Indoors. Contact info for this Swimming Pool for instance phone number and email address are number. Updated on 2019 1 Festival Square , Edinburgh , Scotland , UNITED KINGDOM (Postal Code: EH 3 9SR). This sports centre provides 19 meters x 6 meters, Indoors. Contact details for this Swimming Pool which include phone number and e-mail address are number. Let us tell you a secret to switch off whilst you are in Queensferry: just opt for a Swimming Pool in Queensferry and plunge into the water! There's no additional powerful system. Swimming is usually a excellent idea to help keep your body active during your visit to Balerno (City of Edinburgh), or perhaps should you be a local. Swimia assists you to find your closest Swimming Pool in Balerno. Holding an estimated population of 3.139, Kirkliston is one of the most important cities in City of Edinburgh. Check all the Swimming Pool in Kirkliston and its surrounding area. It's difficult to visit City of Edinburgh without having dropping by Currie (with 6.500 residents). At present Swimia is showing you all the Swimming Pool in Currie along with the closest pools situated in its vicinity. Whereas Seafield is among the six most populous cities in City of Edinburgh with nearly 1.386 residents, you shouldn't miss that one if you're going to City of Edinburgh. Whereas Edinburgh is one of the six most populous cities in City of Edinburgh with nearly 435.791 residents, you shouldn't miss that one if you're going to City of Edinburgh. Let us tell you a secret to switch off although you are in Newbridge: just choose a Swimming Pool in Newbridge and plunge into the water! There's no extra helpful technique. Without a shadow of a doubt, swimming in Ratho is the most effective way to unwind after work. Take a couple of minutes to browse Swimia's catalog to find a Pool in Ratho.